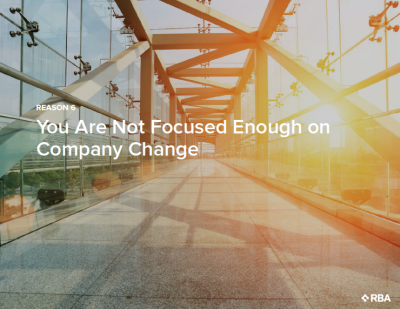 When RBA decided it was time to switch up its marketing strategy, the digital and technology consultancy turned to long-time agency partner, Maccabee. 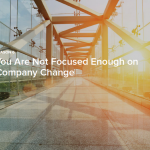 To drive engagement and inbound sales leads with a narrow audience of Minnesota-based business decision makers with its intranet and digital workplace technology offerings, Maccabee recommended RBA perform a bold content marketing campaign. 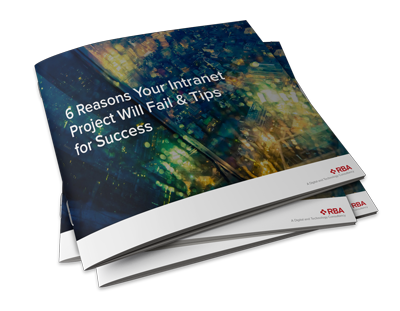 RBA’s campaign centered on a 30-page e-book addressing common mistakes and tips for intranet projects. 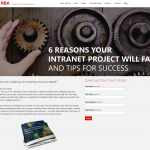 Key to the content strategy was conveying RBA’s perspective and expertise in digital workplace technology. 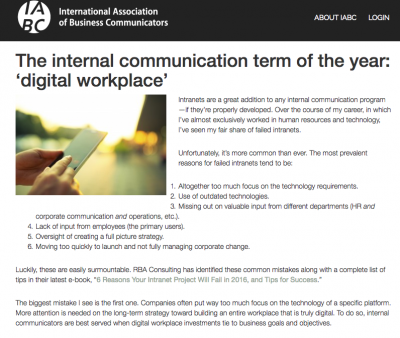 Maccabee led content development, which involved interviewing internal subject matter experts. The promotion strategy hinged on multiple communications channels. 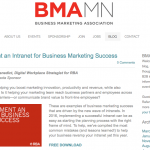 It included an email marketing campaign, earned and owned Facebook, LinkedIn and Twitter posts, partnerships with the Minnesota chapter of the Business Marketing Association (BMA) and the International Association of Business Communicators (IABC), and dozens of industry events and new business meetings. Nearly 150 new sales leads generated by the e-book landing page, which boasted a staggering 16.5 percent conversion rate (well above the industry average of 2.35 percent). 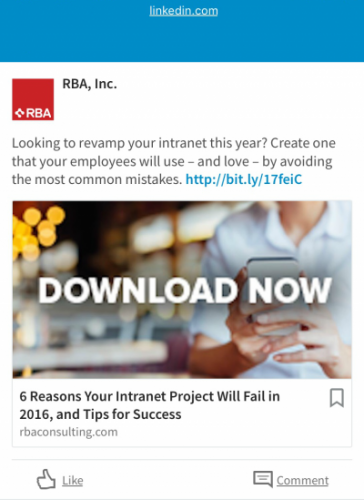 Engagement with RBA and its content through thousands of social media shares of the e-book. 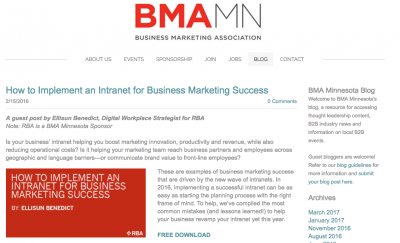 Targeted media placements on the BMA of Minnesota and IABC CW World blog that featured RBA’s digital workplace expertise and generated more than 6,000 opportunities to be seen (impressions). 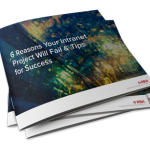 This marketing success was only the beginning of the impact generated by the “6 Reasons Your Intranet Project Will Fail, & Tips for Success” e-book. 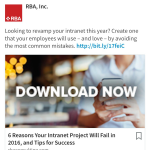 Within 11 months of its release, RBA could attribute the e-book to driving new business leads for the RBA sales team, who successfully closed $2M in sales from new clients and digital workplace engagements. 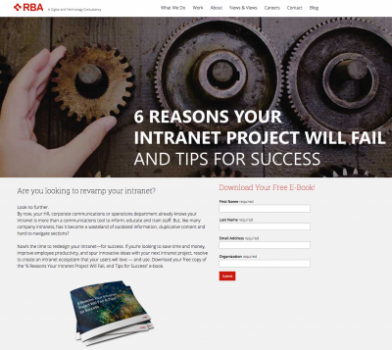 By crafting an e-book that directly addressed recognizable issues on the minds of its prospective client pool, instead of just pushing out information about its services, RBA began building relationships with its target audience. 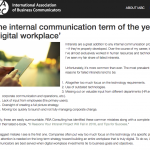 The content marketing campaign had such a tremendous impact on the company and its target audience that RBA has launched a second campaign—an expert guide to digitally transforming workplaces.